April 25th marks the one year anniversary of the publication of my first book Nutritional Truths. This past year has proven a great deal of insight into the self-publishing world and writing a blog over this past year has been educational as well. There will be five copies of the audio version of Nutritional Truths given away, and all you need to do to enter is make sure you like Nutritional Truths on Facebook and share this on your wall before May 8th. Very simple with winners being notified the end next week. Good luck! You may also follow my blog by sharing your email at http://www.nutritionaltruths.com to be entered. I wrote the book having spent so many years in the dark about nutrition, foods, disease and their actual cures. 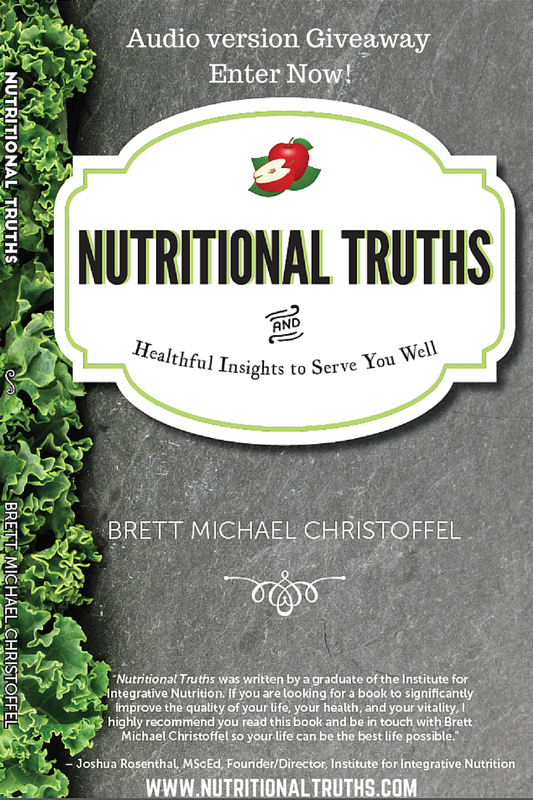 Nutritional Truths allows me to share all the information that everyone should know in one concise book allowing the readers to investigate further the truths that matter most to them. Have you ever thought of writing a book and publishing it? When you finally do you will find it either harder or easier than you think. It’s one of those unknowns until it is complete and ready for print at which point is editing and re-editing again and again happens. When this happens, the perfectionist may never complete the project since chasing one’s tail comes easy at this stage and making the book available to the public has to be more important than perfection. Once Nutritional Truths was published, I was under the illusion that the heavy lifting was over, but it had only just begun. Marketing, promoting and selling one’s book takes more effort than I would have guessed. There are still avenues I have begun to explore in order to promote it further and am always open to your ideas. Enjoy your weekend, enter this contest and share this with those you love. Good luck and Be Well!